Heritage Birch is a small to medium-sized tree that grows no more than 30 feet tall. 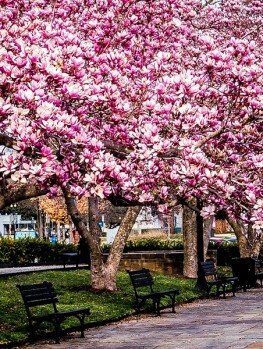 This tree arrives with three stems planted close together, and it grows into a picturesque specimen that will grace your garden with beauty and charm. It adds 2 feet a year, or even 3 feet a year in warmer areas, rapidly maturing into a beautiful tree in any garden. It has attractive bark in brown and tan, that is constantly peeling and curling away to reveal cream and white bark beneath. The delicate oval leaves hang from slightly-pendulous branches, casting only light shade. In fall the leaves turn glowing shades of pale gold. It grows in zone 4 through zone 9, and it is especially useful for wet, clay soils, growing even in flooded areas, while also thriving in ordinary garden conditions. Plant the Heritage Birch in full sun, and water it well while it is young, for the fastest growth. Unlike other birch trees, this tree does not suffer from the insect pests that shorten the life of other birch, so this easy tree will thrive and prosper for years and years, with no trouble at all. 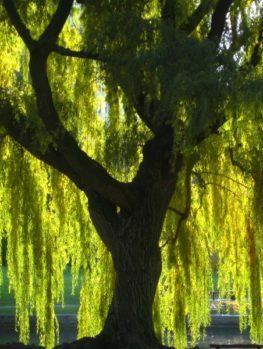 It has a naturally-denser branching structure than the common river birch, which is its parent, so it is much less prone to breakage from wind and ice. 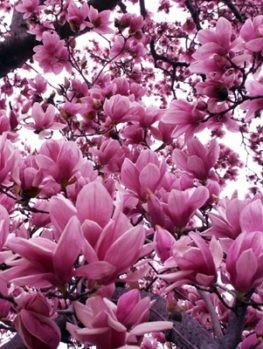 This lovely tree will grace any garden with its special beauty – while growing quickly and being easy to grow too. 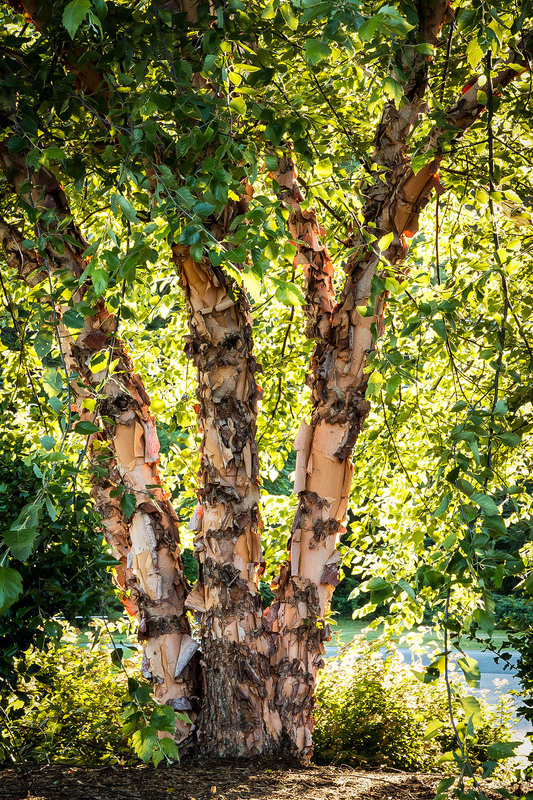 Birch trees have a special charm, and they are one of the fastest-growing trees, so they are ideal for new, treeless gardens, where they will quickly bring a mature look, while other, slower-growing trees develop. Planting birch has been a problem in the past, because many people planted the white birch – a beautiful tree, but one very prone to insect attack and early death. 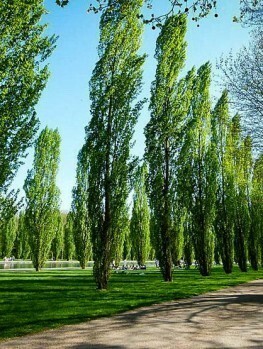 If you love birch trees, but you want to plant a healthy tree with a long life, there is a solution. It is the river birch, a different species which is resistant to insect attack, and will live a full life. Wild river birch trees do not have particularly attractive bark, but the Heritage Birch Tree does. This selected form features bark which flakes away in large sheets, creating a very textured and appealing look. the outer bark is colored brown to tan, and as it peels away it reveals the inner bark, which is very different, in shades of creamy white to white. This tree is strikingly beautiful, and it never looks quite the same, as the bark is shed in an irregular fashion, creating ever-changing random patterning. 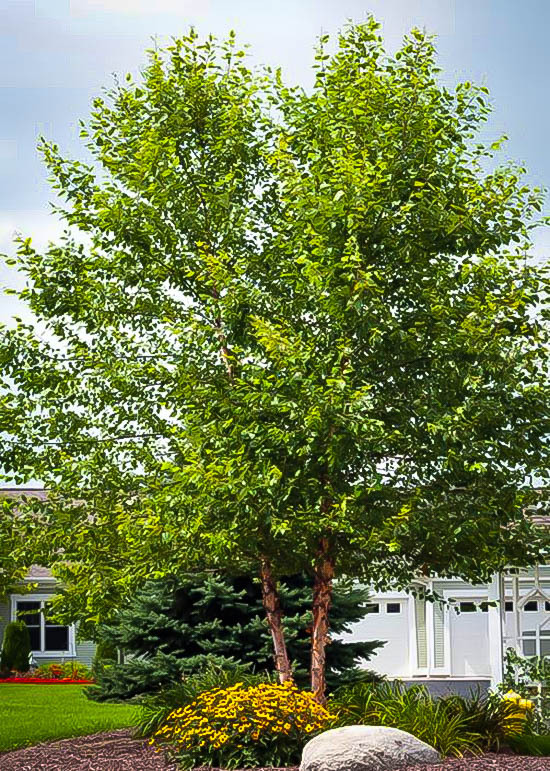 The leaves of the Heritage Birch Clump Tree are a little larger than in the wild tree, creating a bolder look, and even more importantly, this form is much faster growing than wild trees, which is exactly what you want for the quick development which is so desirable with birch trees. It is also a little hardier than the wild species, thriving in zone 4, but also growing into the warmest zones. This ability to grow in hot, humid areas is unique to the Heritage Birch, since other types of birch tree prefer much cooler, northern areas. If you live further south, this is the birch tree for your garden. Heritage Birch is a medium-sized tree that usually reaches 25 or 30 feet in height, with a width of about 15 to a maximum of 25 feet across. It takes several decades for a tree to reach this width. Very old trees growing in rich, wet soil, may sometimes grow bigger than these dimensions, but very rarely do that in gardens. The leaves are about 3 inches long and 2 inches wide, in a triangular-oval shape, pointed toward the tip. They are edged in tiny soft teeth. In fall the leaves turn a wonderful shade of soft yellow, like a glowing candle in the sun. Older trees flower in early spring, before the leaves appear. Charming golden clusters of flowers, in narrow, hanging structures 2-3 inches long called ‘catkins’, hang down from the branches. These add a lovely spring touch to your garden. Heritage Birch very soon becomes a graceful tree you will love to see on your property. 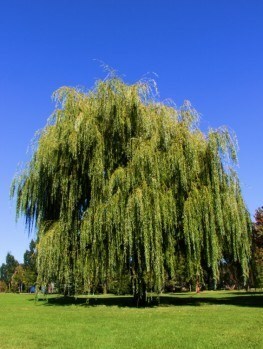 Its branches hang down a little at the ends, creating a soft, slightly pendulous profile. Birch trees have a ‘light’ look that is unique among deciduous trees. The thin twigs and small, hanging leaves make for a light, airy tree, very different from the solid mass of maple or oak. In small our medium-sized gardens they don’t dominate the garden or create areas of dense shade, preventing you from growing other plants in your limited gardening space. As well, their root systems don’t find a way into sewage pipes, or under your foundations, so you are safe from the structural damage that can be caused by trees planted near to pipes or too close to buildings. Most trees need good drainage, but the Heritage Birch grows naturally along river banks, so it thrives in damp, and even wet, soil, including heavy clays. This makes it ideal for wetter parts of your garden, along a stream, or by a pond. It also grows very well in regular soil, so wet or normal, your soil type does not prevent you growing this tree. 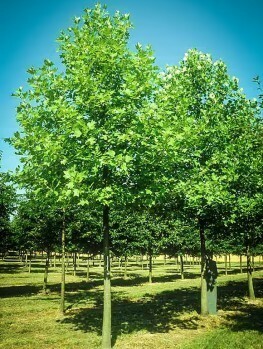 The only limitation is on very alkaline soil, such as limestone, where the Heritage Birch is not a top choice. There an ash tree is a good alternative, also with a lighter appearance than other specimen trees. 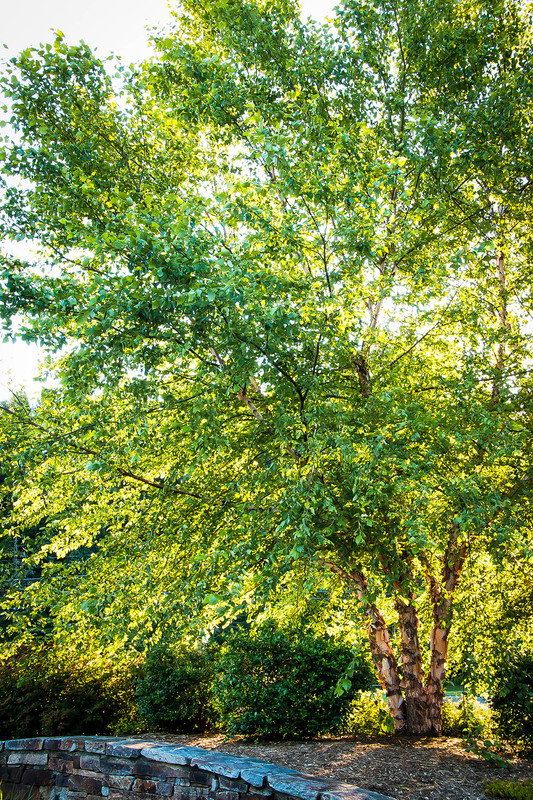 Plant your Heritage Birch 15 feet or more from a building, swimming pool or septic system and 8 feet from a driveway. For a boundary row or along a stream, allow 8 to 12 feet between the trees – it depends how dense a screen you want to have. 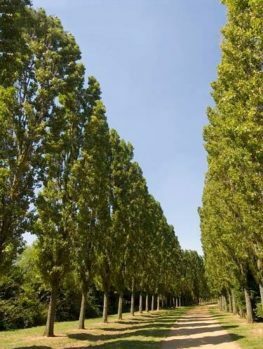 Heritage Birch is a dependable and easy to grow tree that is ideal for new properties, smaller gardens, and in wetter locations. The River Birch (Betula nigra) is an American native tree growing throughout the east, from New Jersey to Georgia and from Texas to Nebraska. In the wild it doesn’t grow further north than zone 6, but in gardens it has proved to be completely hardy throughout zone 4. In the early 1970s, Earl Cully, who had a tree nursery in St. Louis, Missouri, found an interesting birch tree growing on his land. He let it grow taller and found it had much more colorful bark than his other trees did. He also found the leaves were larger, the branching structure denser, and that the tree was less likely to be damaged by wind and ice. He patented his new tree, and he called it ‘Cully’. It went on to be sold in nurseries under the tradename of Heritage Birch. This is the exceptional tree that we are offering. 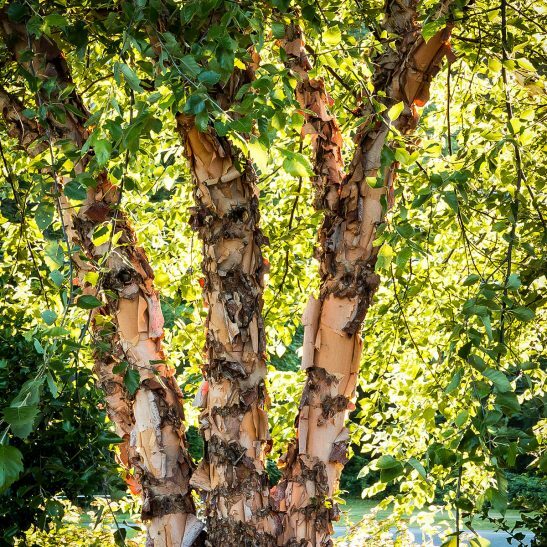 The trunks of birch trees tend to be slim, and a single tree has only so much appeal. To overcome this problem, we asked our growers to place three small trees together in the same pot, and then let them grow larger. This creates a beautiful clump of stems, which grow outwards a little in elegant and varied ways, so that every clump matures differently, giving you a unique tree, different from every other one.